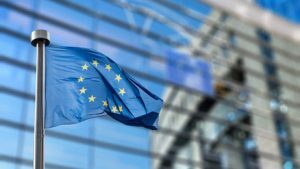 A new ALLEA Working Group called “Framework Programme 9” will develop suggestions for the successor EU Framework for Research and Innovation that will come into force after the conclusion of Horizon 2020. The Group will engage with Academies, relevant EU institutions and stakeholders to ensure that the interests of the scientific community are taken into consideration in the design of the future programme, and that particularly the Social Sciences and Humanities (SSH) are fairly represented. Following the decision of the 2016 ALLEA General Assembly in Vienna, the new Working Group is set up as a successor to ALLEA’s Social Sciences and Humanities Working Group, which advocated for the full representation and needs of the Humanities and Social Science in the Horizon 2020 Framework Programme. The new Working Group will continue these efforts in the coming years to ensure that the SSH are appropriately represented in the scope, organisation and funding of the future post-Horizon 2020 Framework Programme for Research and Innovation. Furthermore, the Framework Programme 9 Working Group will seek to encourage deliberation and foresight within the ALLEA member academies on the fields and activities in which EU funding will be a priority within the period 2020 to 2030. On 9 February 2017 the first meeting of the working group will take place in Brussels. The new working group’s membership comprises twenty members representing academies from across Europe, including from Armenia, Austria, Belgium, Finland, Germany, Hungary, Ireland, Italy, Kosovo, Poland, Spain, Sweden, Switzerland, Turkey, The Netherlands, and the UK. Horizon 2020 is the biggest EU Research and Innovation programme to date with nearly €80 billion of funding available over seven years, from 2014 to 2020. It seeks to achieve EU’s policy objectives with an emphasis on excellent science, industrial leadership and tackling societal challenges. Since October 2016, the European Commission is conducting an interim evaluation on the programme open to the general public and key stakeholders.